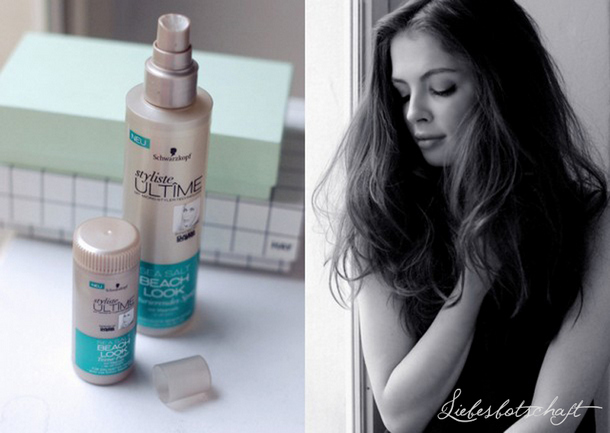 Liebesbotschaft International: Beach waves spray + styliste ULTÎME giveaway! 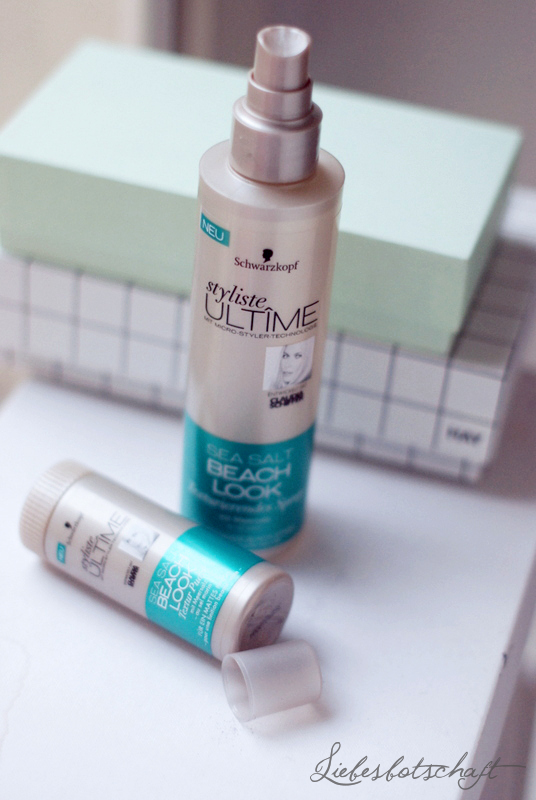 Beach waves spray + styliste ULTÎME giveaway! 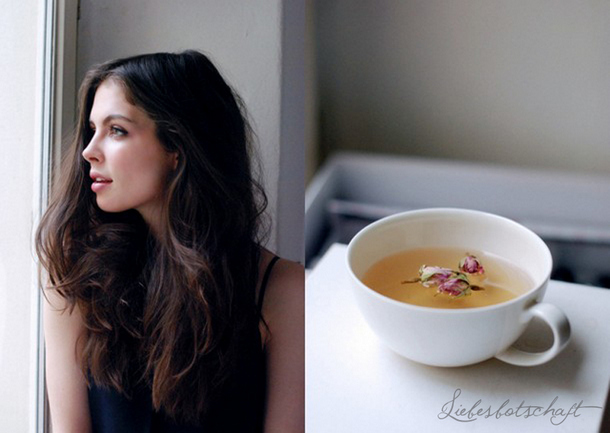 Today’s post was written by my daughter Jil, the pictures were taken by me – enjoy! Summer surely won’t arrive in Berlin for another while, as is typical for here the weather is grey and cool with briefly a little bit of sunshine. What’s nice about this: you can pamper yourself with a little beauty treatment for an afternoon! 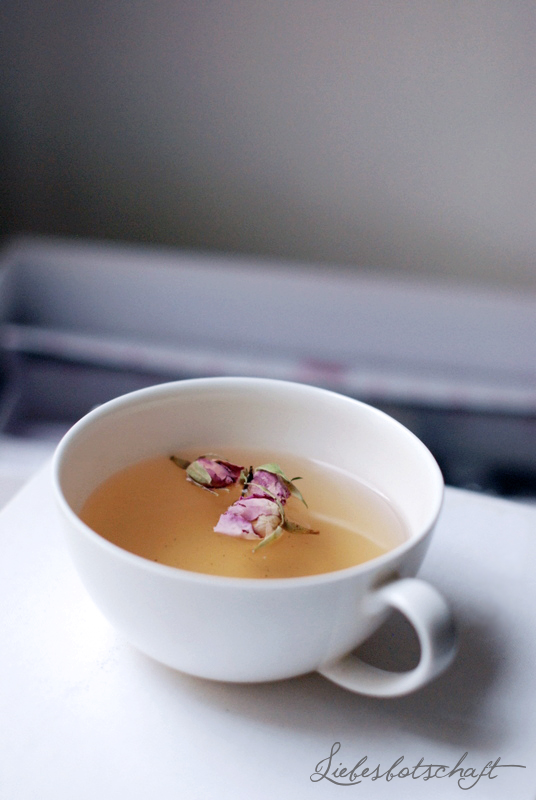 When my mom came to Berlin on a visit we tested a few new products, aside from drinking rose petal tea (officially the most photogenic variety of 2015). Especially when it comes to my hair, I consider it important that everything looks natural and not too coiffed. Some flowing structure, yet cool and always a bit “oh, I just woke up!”. This is where beach waves are absolutely perfect and at the same time an art in itself. What seems to just grow naturally on every model’s head is suddenly not that easy to recreate in your own bathroom. Schwarzkopf developed a new line of products that brings the trends into your home - styliste ULTÎME makes styling very simple. - however, I tested the ULTÎME SEA SALT BEACH LOOK products. The products do contain genuine sea salt without drying out your hair. For my waves I spray a generous amount of sea salt spray onto my damp hair and then scrunch it well. The next step depends on your hair structure! - If your hair is naturally wavy and curly, you can simply let your hair air-dry without a problem. - If you have a smooth hair structure I recommend you scrunch your ends and lengths well for a longer time, then twist your hair into little ponytails and firmly pin those down. Now you can blow-dry it all. - Afterwards I take some texturizing powder, rub it between my palms and apply it to the ends and lengths, this will make hair look sun- and wind-dried. A little bit onto your scalp for instant mega volume and great grip. Simply braid your still damp hair and let it dry overnight, this will avoid heat damage to the ends and will give them a rest during the night. Comb through the strands with your fingers in the morning and loosen everything up. Apply the powder as a finish – a completely heat-free (and consequently very damage-preventing) style. Everyone can create their own version of them, play around with the look, maybe add some hairspray for better hold and you are ready for any spring party! In case you also feel like a fresh new look now, you can participate in the Schwarzkopf Instagram giveaway! 1. Upload a picture to your public Instagram account, which shows your beach waves or your new favorite hairstyle in a particularly beautiful way and add a note which product you would prefer to test. Apart from the ULTÎME SEA SALT BEACH LOOK all other lines of products are here – the perfect inspiration. 2. Only originally uploaded pictures are valid, no retrospectively tagged pictures. Add the hashtag #theultimestyle (make sure the spelling is correct!) as well as #liebesbotschaft, so that we are able to find your pictures (please feel free to also use #chillyjil, that way they will definitely arrive ;-)). 3. All uploaded and admitted pictures can be viewed in the glam.de picture gallery. This is also the place where winners will be announced and notified. 4. The give-away starts on April 8, so kick into gear: capture the first rays of sunshine :-)! And what is better suited for the warm season than to finally liberate your hair from underneath a knitted hat and to try something new? I am very curious to hear your opinion about my look and your ideas! Spring outfit, yard sale review – and Cologne! 3 espresso desserts for your Easter buffet! Easter decoration ideas: simple + pretty. Quick meals: dinner for one. Good-bye February - hello March! My rock star kind of life without kids.